Regional Forester Leanne Marten submitted a letter to the Bureau of Land Management endorsing the plan to withdraw 30,000 acres (12,140 hectares) in Montana's Paradise Valley and the Gardiner Basin from new claims for gold, silver, platinum and other minerals, U.S. Forest Service spokeswoman Marna Daley said. The rocky peaks and forested stream valleys covered by the withdrawal attract skiers, hikers and other recreational users. It's an area where grizzly bears, wolves and other wildlife roam back and forth across the Yellowstone border. A final decision is up to the office of U.S. Interior Sec. Ryan Zinke, who said in a statement that the withdrawal could be finalized in coming weeks. “Coming weeks” sounds good to us. We have just two months until the timeout issued by the Obama administration runs out. We’re grateful to Sec. Zinke for putting this at the top of his list now, and for fast-tracking the timeout last year. 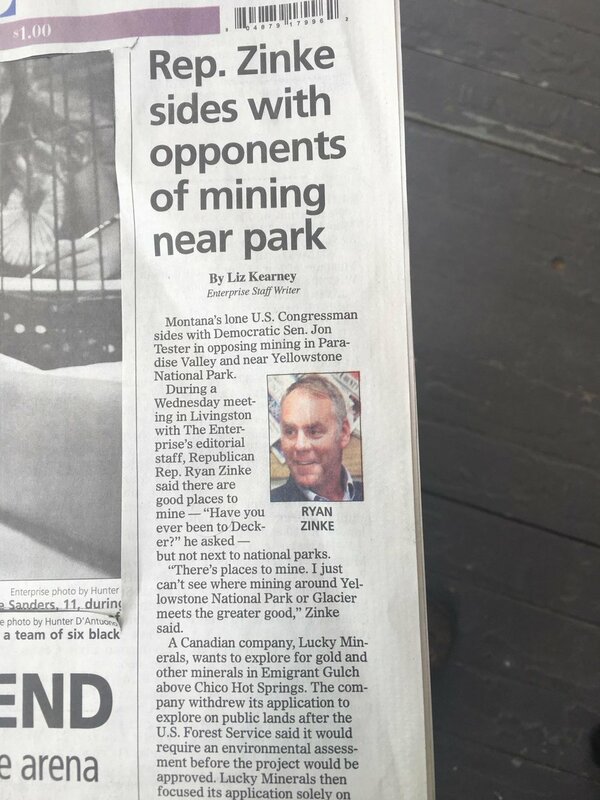 He’s continuing to stand with Montanans who broadly oppose the Yellowstone gateway mines, just as he did when he was Montana’s sole congressman. A big thank you to the Forest Service for endorsing a 20-year timeout. It shows that protecting our lands, waters, wildlife, and the thriving local economy is something that everyone can get behind regardless of political party. And thank YOU for making your voice heard! Your comments are making a difference. What’s next? We look forward to a signature from Sec. Zinke prompting a 20-year timeout. But even that big win won’t mean the end of our work. We want to keep mines from Yellowstone, forever. 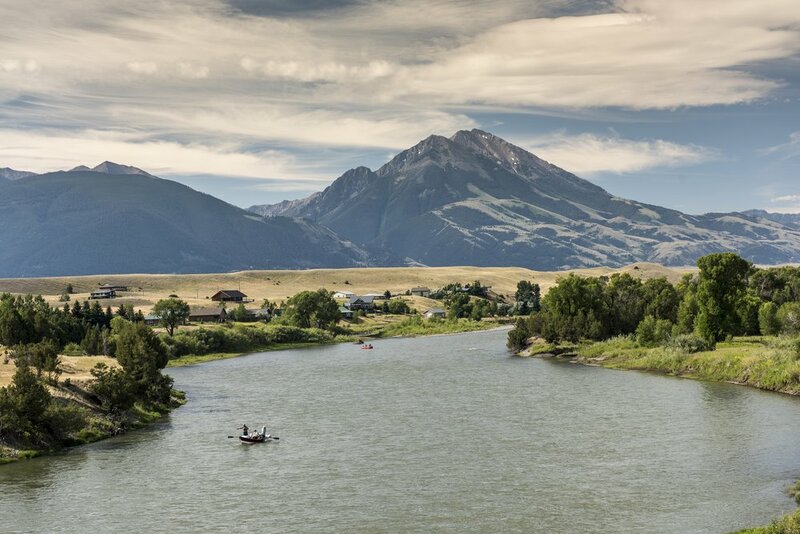 Extending the timeout gives us breathing room to pass Sen. Jon Tester’s Yellowstone Gateway Protection Act, which will keep risky mines from Yellowstone’s northern gateway permanently. So please stay tuned. We’ll be in touch with more ways you can help protect Yellowstone from mines. Thank you for supporting our work!